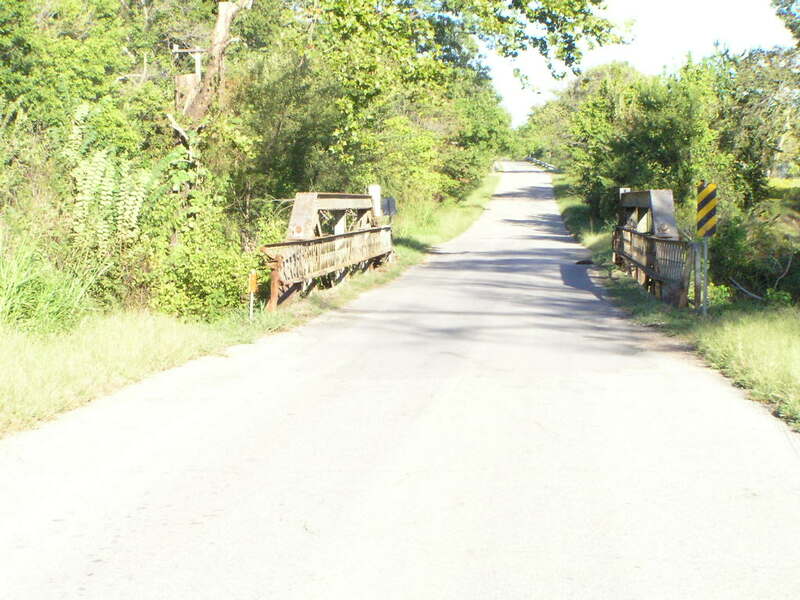 Old US 75 Adams Creek Bridge, Okmulgee Co. 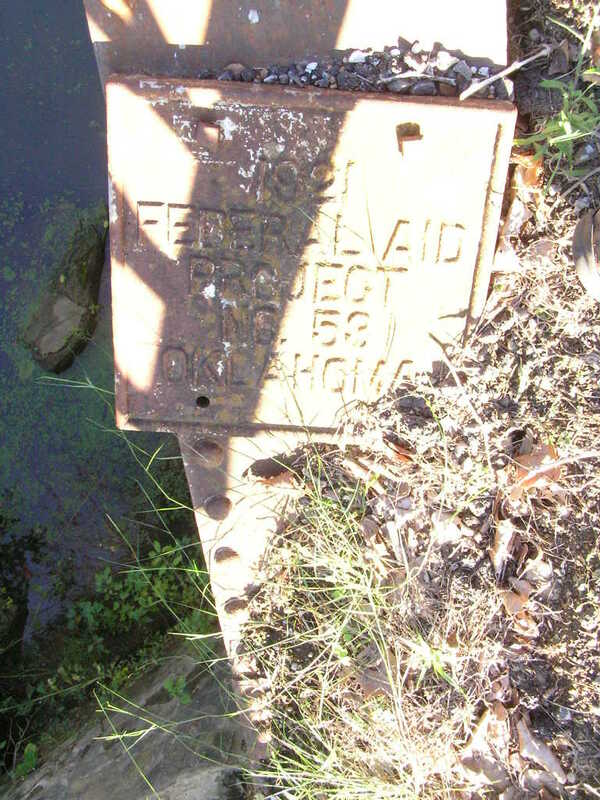 Built in 1921, this small pony truss bridge bears plaques declaring it Oklahoma Federal Aid Project no. 53. 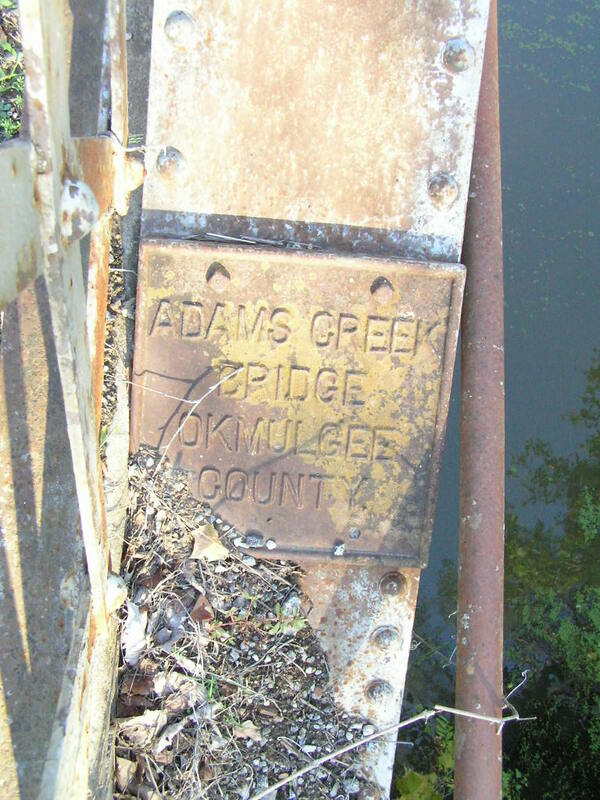 Above and below, plaques mounted on the bridge. 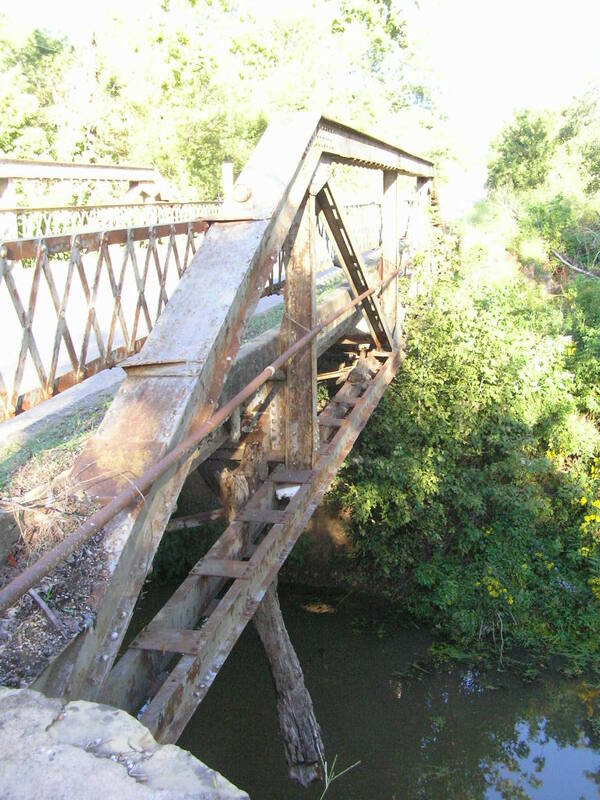 Below, side view of the truss. 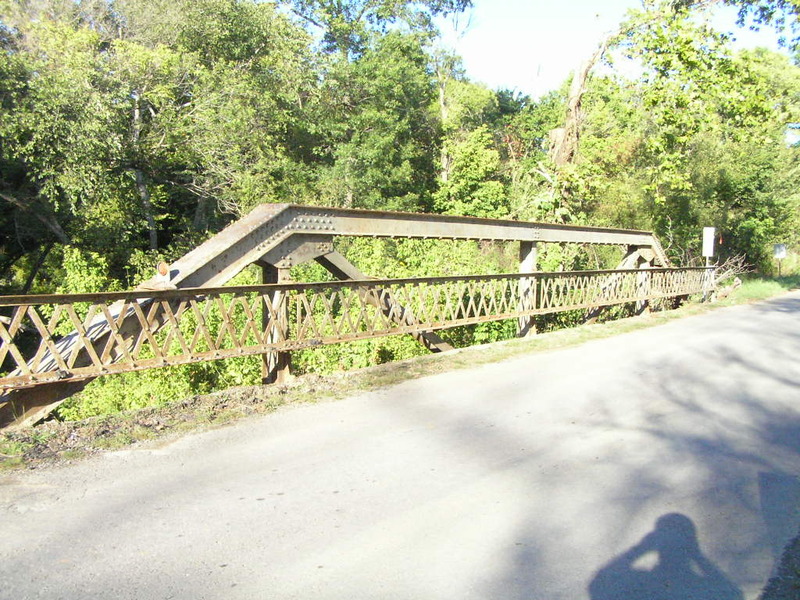 This span measures 70 feet in lenght. 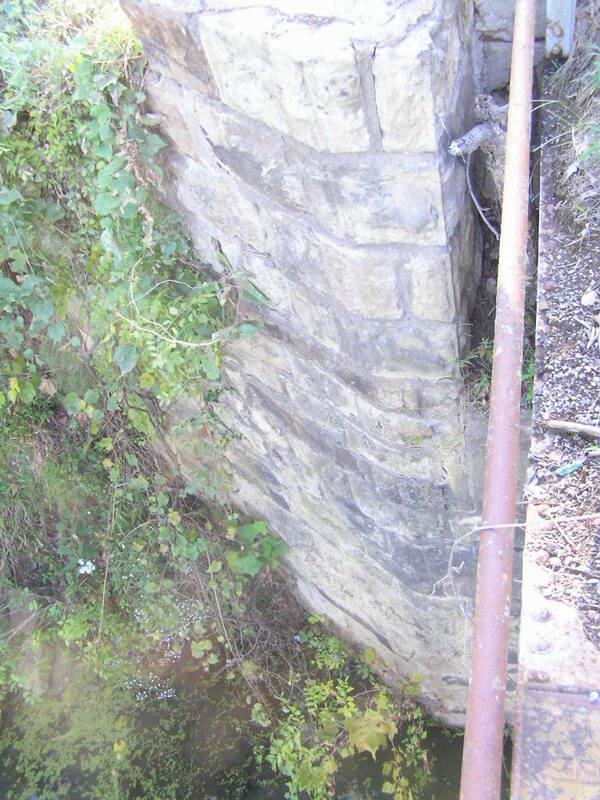 Below, view along side of bridge. Below, the bridge rests on well-executed cut-stone foundations.